Over 500 events were held throughout Yorkshire to celebrate Fairtrade Fortnight. The Fortnight in Yorkshire was officially launched in York with an al fresco breakfast held outside of St. Michael Le Belfrey Church, adjacent to York Minster. 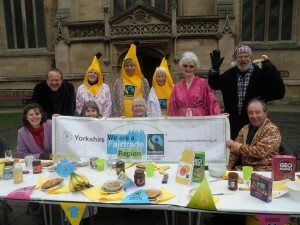 The Lord Mayor of York attended alongside Fairtrade supporters from across Yorkshire. The theme of this year’s Fairtrade Fortnight focussed on issues of food security. 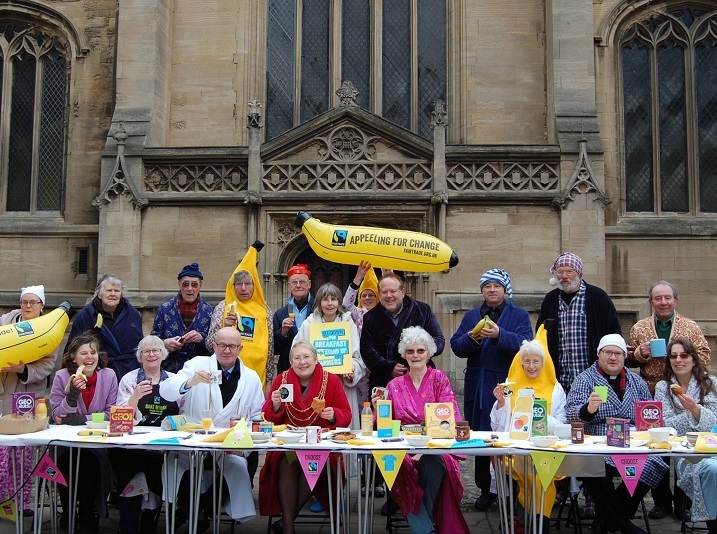 Millions of farmers and workers who are feeding the world are themselves going hungry. 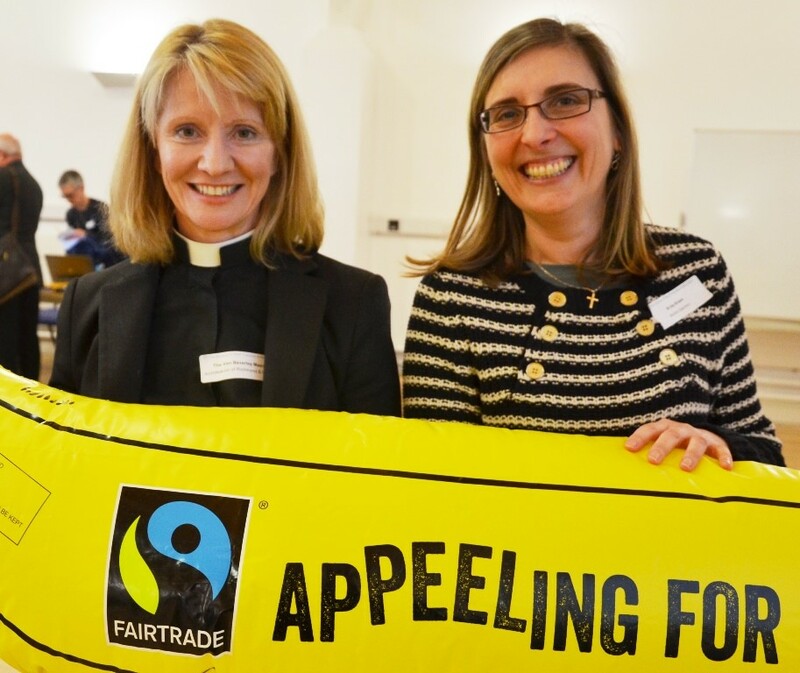 Fairtrade means farmers and workers can fulfil a human right we can often take for granted –putting food on the table. On March 1st 12 members of Fairtrade Holme Valley and 12 pupils from Honley High School went to Parliament to help launch the APPG (All Party Parliamentary Group) for Fairtrade. 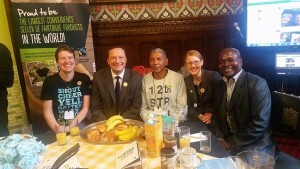 When we arrived we were treated to a mini tour of Parliament by Jason McCartney MP. We were given passes to hear the emergency debate on Syria from the Public Gallery, we went on the terrace with fantastic views of the Thames and the buildings along the waterfront, we met Boris Johnson and David Blunkett (I nearly fell over his dog on the stairs). 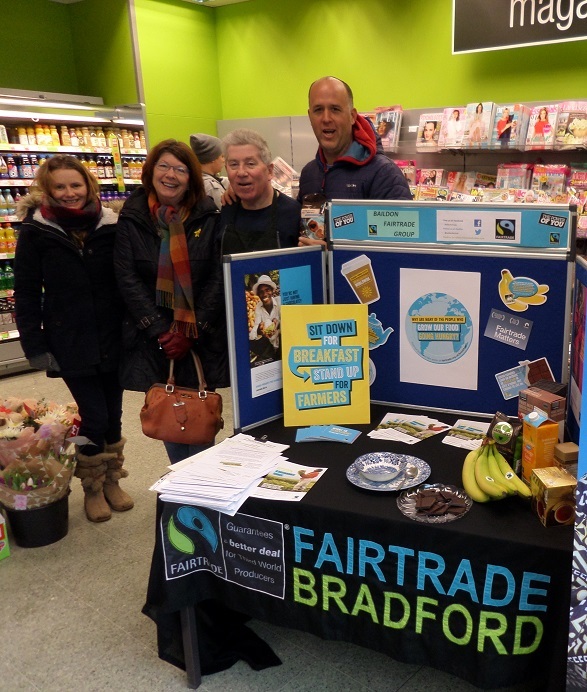 At the two hour launch in the Jubilee Room we were joined by 37 MPs, representatives from the Fairtrade Foundation (including Tim Aldred), representatives from the Co-operative Group (including Kerry Stower, the store Manager in Holmfirth) and many others. 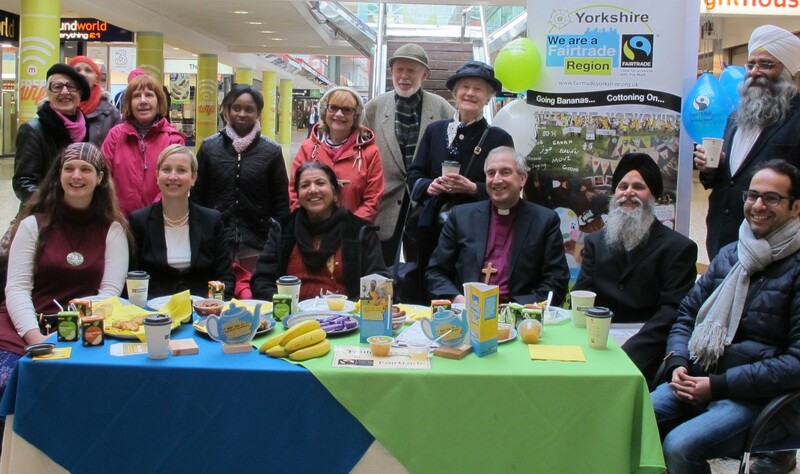 Over a Big All Day Breakfast (the theme for this year’s Fairtrade Fortnight) there were short speeches from Holly and Jason, from Helen, from the Secretary of State for International Development, from Mike Gidney (Chief Executive of the Fairtrade Foundation), from Brad Hill (Fairtrade Strategy Manager for the Co-op) and most importantly from Patrick (a tea farmer from Kenya) and Julio (a banana farmer from Columbia). The two farmers spoke very movingly about how Fairtrade had brought great benefits to their families and their communities. 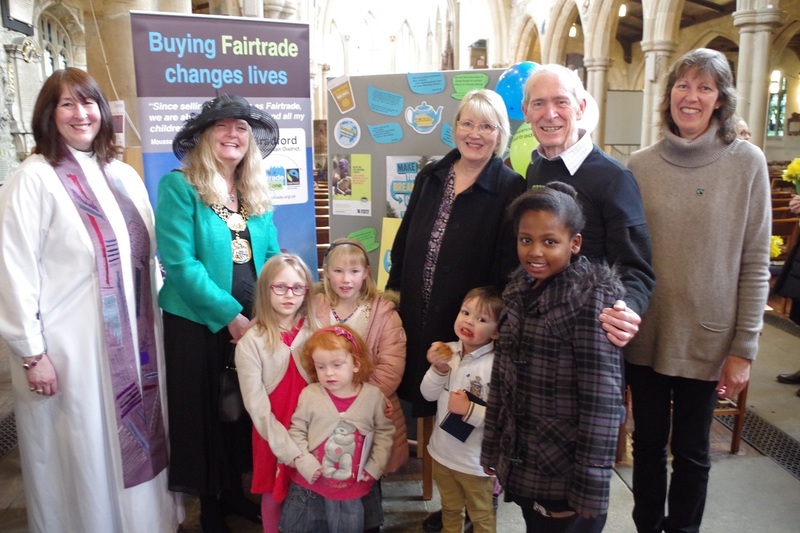 One of the pupils said afterwards “he made me want to cry.” They made us all realise how important it is to keep promoting Fairtrade – supporting people to work their way out of poverty. 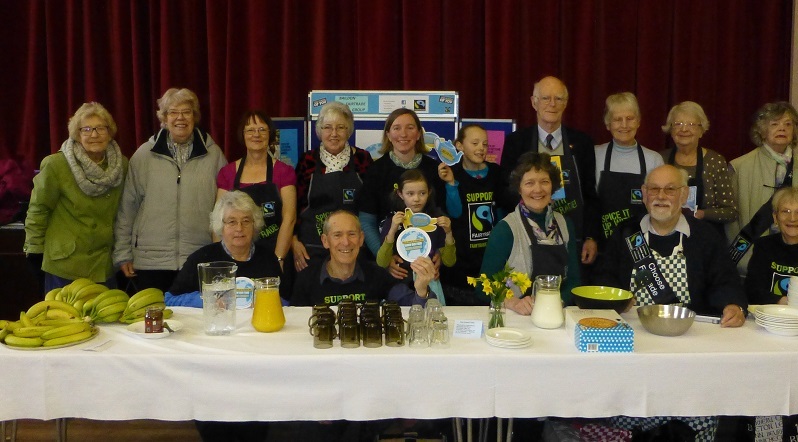 Harrogate MP Andrew Jones popped in to help out at Harrogate Fairtrade Group’s coffee day at St Peters Church on Saturday morning. 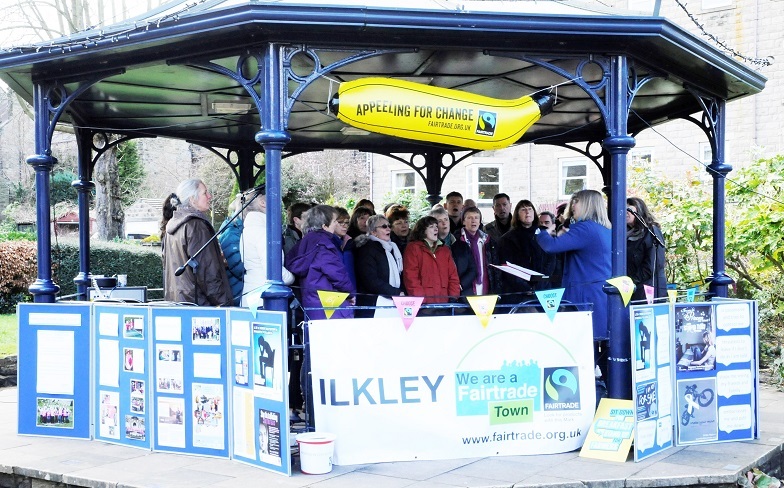 The MP was, for many years, Harrogate Council’s Fairtrade Champion and helped the Harrogate district achieve Fairtrade Borough status. 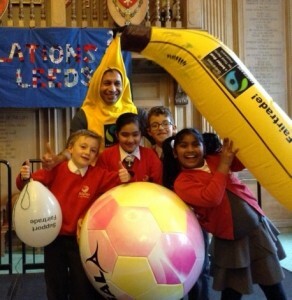 When Mr Jones was elected to Parliament the role was taken on by Councillor Steven Jackson. 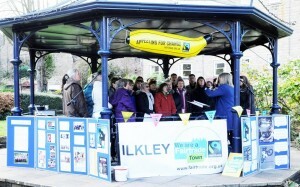 Harrogate Borough achieved Fairtrade status in 2006 and Yorkshire was the first Fairtrade Region. Part of the day was a display of Fairtrade ‘breakfast plates’ designed by local schoolchildren. 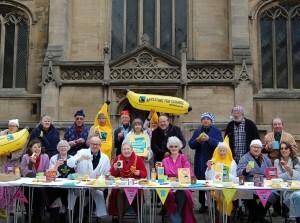 Andrew commented: “Even though I stopped being the Council’s Fairtrade Champion when I became an MP, I’ve made a special note to keep in touch with the group, attend events and promote Fairtrade to parliamentary colleagues – in fact I’ve regularly made soup to sell during Fairtrade Fortnight! 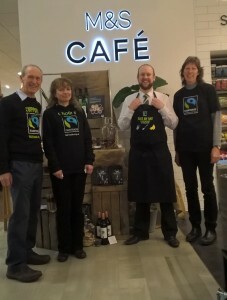 Harrogate Council’s Fairtrade Champion Cllr Steven Jackson added: “I am a passionate believer in Fairtrade which is why I was pleased to take over from Andrew as the Council’s Fairtrade Champion. Fairtrade supporters in Malton rose early for a Fairtrade breakfast at the Fair Trade and Local Craft Fair held during Fairtrade Fortnight. Fairtrade Malton have also taken three assemblies in local primary schools and done one workshop in a local primary school. 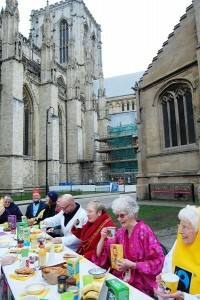 Displays were set up in Malton and Norton libraries as well as a local stationery shop’s window. 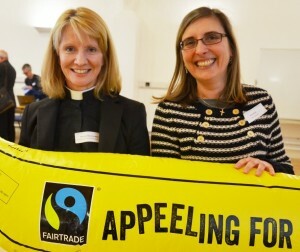 Fair Trade Stalls were held at the Soroptomists meeting and in two local churches. 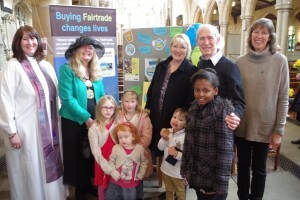 Three schools in the area also set up their own Fair Trade stalls.